BoomSonar offers an end-to-end social media management platform that integrates monitoring, analytics, and reputation management into one centralized hub. 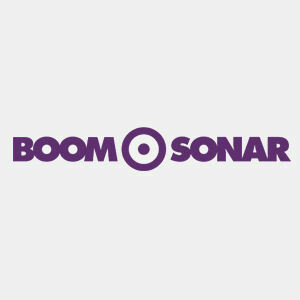 BoomSonar operates as a brand under Istanbul-based digital marketing agency Tick Tock Boom. BoomExtra is a companion product for BoomSonar Suite that adds the functionality for Instagram and FourSquare monitoring and analysis. BoomManager is a Facebook page management tool that makes it easier to can post, administer page comments, reply to posts and comments, and create reports. BoomReputation detects and analyzes a variety of issues that risk damaging a brand's reputation, enabling PR and marketing to quickly catch and handle fake accounts or impostors, know if there are any boycotts or other aggressive protests or events, negative search engine results and other potentially damaging content. BoomSocial is the free BoomSonar social media analytics tool for measuring and comparing social media insights, planning content strategy and more. BoomSonar Suite is a complete web and social media management platform that provides real time online social monitoring to capture mentions about any brand name, product or service, tracks rate of mention for your brand and compares results against mentions of your competition, and measures the impact of social marketing campaigns on brand awareness. BoomTools is a real-time, always-on command center for social media marketers. BoomTools includes Twitter trending topic alerts, tracking for top influencers, daily summary emails and more.